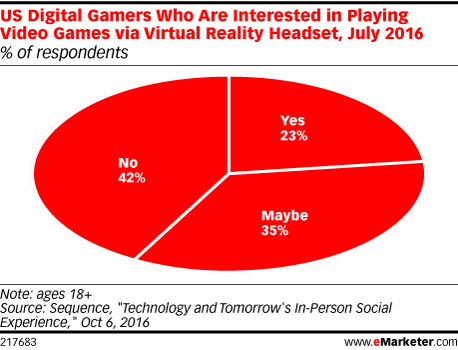 Data is from the October 2016 Sequence survey titled "Technology and Tomorrow's In-Person Social Experience." More than 1,000 US internet users ages 18+ were surveyed online in July 2016. Sequence is a brand agency.